DJI is the uncontested leader when it comes to aerial photography multicopters. Their Phantom 3 was a breakout drone that helped pave the way for the Phantom 4, Mavic and Spark. Their professional Inspire drones are used in Hollywood productions. Now you can even pick up a quad under $100 with DJI technology. They even have industrial drones for a variety of different applications. Here at Half Chrome, we’ve done the research so you can determine which one works best for you. If you want the short version, skip to the end where we have a quick cheat sheet that will point you in the right direction. New to DJI Drones? Start Here. The red DJI Spark, Black Mavic Air, and Ryze Tello are all excellent options. DJI makes some serious high-end drones, but there are also some pretty spectacular options that you can purchase without breaking the bank. 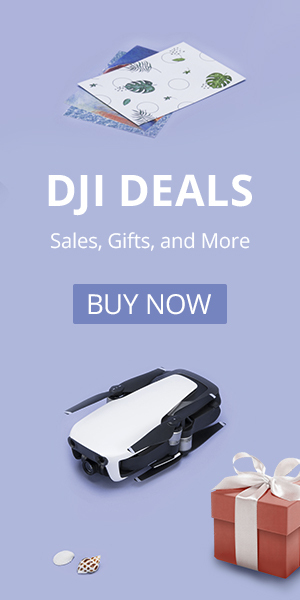 The $99 Ryze Tello- While technically the Tello isn’t a DJI branded drone, it was built with DJI technology and it is quite clear the DJI influence on the Tello is quite strong. 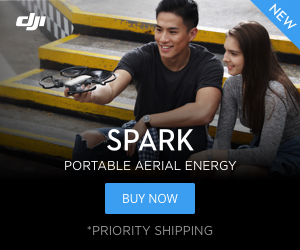 Heck, you can even buy it on DJI’s online store. Its 8 MP camera is the best one you can find in a small drone under $100. The electronic image stabilization and automated flight modes are again unequaled by its peers. The Tello also has one of the best flight times and is the most stable non-GPS drone we’ve ever flown. While it’s brushed motors and lack of dedicated controller limit this drone, it is still an impressive piece of machinery for under $100. The Ryze Tello is bound to be the #1 drone gift of 2018. The DJI Spark- The Spark is a small brushed quad that has a 12 MP camera on a stabilized two-axis gimbal. Now that the price of the Spark is under $400, it is quite the steal if you are looking for a good compact quad that can take impressive pictures and video. While we do really like the Tello, the Spark is in a whole other class. It has some impressive features and is a solid option for anyone looking to get into drones. While it can be flown without a controller and even with gestures we recommend picking one up with the optional remote for greater range, flexibility, and control. The Tello, Mavic Air and Spark are all excellent drones in their own regard. The DJI Mavic Air- The Spark is nice, but the DJI Mavic Air might be our current favorite DJI drone. It is incredibly small and compact, especially when folded up, but is an extremely capable machine. It has front and rear obstacle avoidance and an impressive 12 MP 4K camera. DJI even added new flight modes when they released the Mavic Air. Starting under $800 it isn’t cheap, but can do almost anything you might want to accomplish with a drone. If you are a professional photographer or you want the best drone possible then DJI has a few solid options for you. These drones are the heavy hitters in the DJI lineup. It is hard to go wrong with any DJI drone, but these are feature-packed and ready for action. The Phantom 4 Pro is an awesome machine and comes in both black and white. The Phantom 4 Pro- This is probably the preferred professional drone for almost everyone. The camera on the Phantom 4 Pro is an impressive 20 MP with a 1″ sensor that can take spectacular pictures and video. It packs 5-direction obstacle avoidance into its familiar x-shaped quadcopter design. It is hard to go wrong and is an affordable professional solution starting under $1500. The Inspire 2- For those that need the best of the best there is the Inspire 2. It is capable of hitting almost 60 mph and has a full 6 directional obstacle avoidance system. Its transformative design gives the user even greater flexibility and the camera combinations can suit your every need. The Inspire 2 isn’t cheap and starts at $2999 before adding a camera. The Mavic Pro- The Mavic Pro may not have quite the camera that the Phantom 4 or Inspire 2 have, but it is still impressive. The ability to fold it up and take with you makes it an excellent tool that many photographers have found invaluable. With the release of the Mavic Air and the impending release of the Mavic 2, the Pro has become an absolute bargain. DJI has an impressive lineup already, but we know they are not sitting back and resting. Technology is constantly changing and they are working hard to improve on their current products. They have some awesome stuff already in the works. You can see where we think some of these drones will land in the general pricing structure for DJI. The pricing and naming are educated guesses on our part. A Half Chrome rendering of the DJI Phantom R racing drone. This brief summary provides you quick direction on which DJI drone is best for you. You Want the Hottest Drones of 2018? This website contains affiliate links, which means we receive a commission if you make a purchase using these links. Using our links before you order costs you nothing and it helps support our site. For full details visit the disclosures and disclaimers page.